I am super excited to introduce a new product that is a natural way to make your life smell nicer. 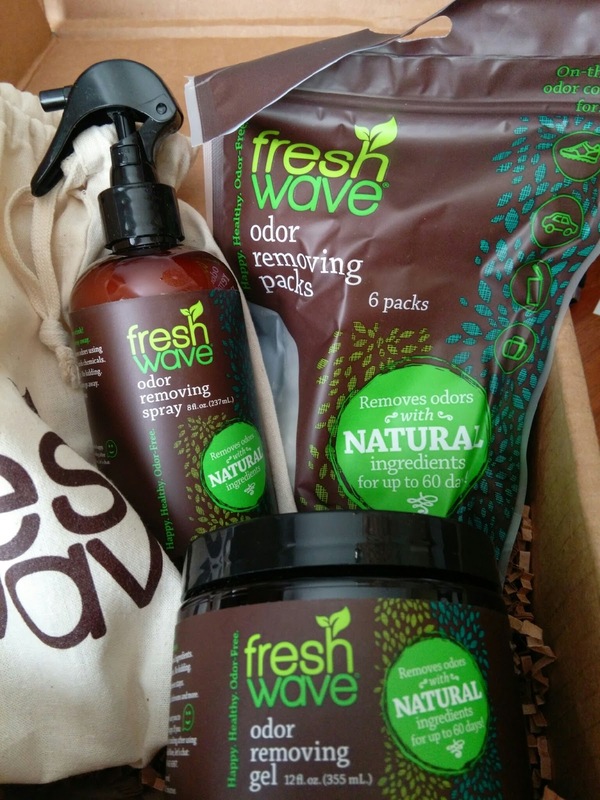 Fresh Wave is a Happy Healthier way to make your life smell fresh and clean. Fresh Wave comes in three different means of making the air smell clean. They have a Odor Removing Spray which works great for a fast way to clean the air. I keep our bottle of Fresh Wave under the sink in our main bathroom. 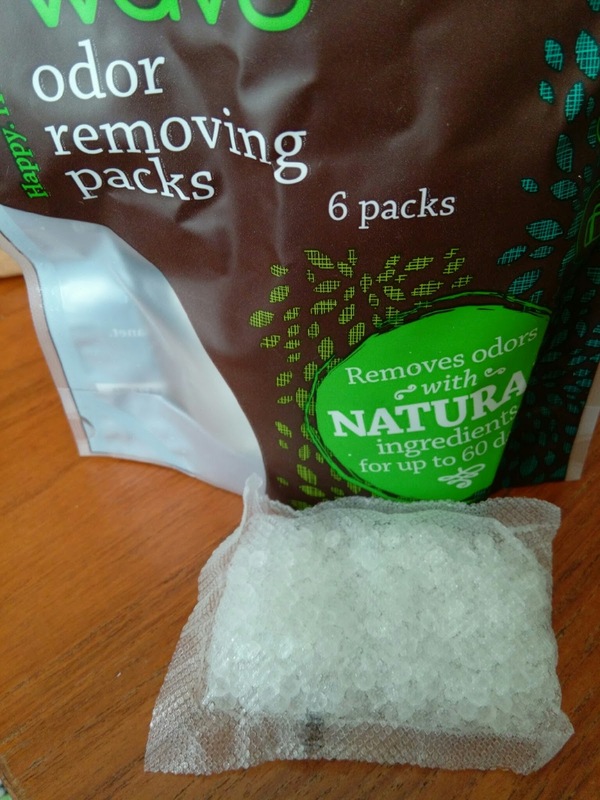 It is perfect for removing stinky odors FAST! 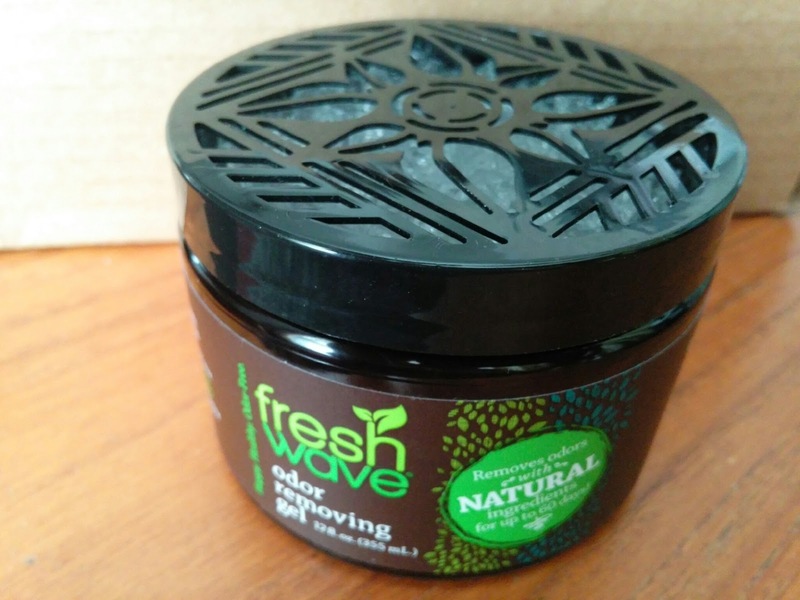 Fresh Wave has a Odor Removing Gel which is perfect for a room or for a closed in area. I use my fresh wave in my large hall closet. It is a large closet that gets backed full of items. The Fresh Wave keeps the closet smelling fresh and clean. All I needed to do was add the Fresh Wave container - no spraying or adding ingredients that can spill and make a mess. Fresh Wave is in Odor Removing Packets. These packets are perfect for my car and our camper. I love the fresh smell with the ease of a packet. No mess or fuss....just place the packet in your car and you have a fresh smelling car. I especially like the packets for our camper bathroom. They work fantastic and I do not have to worry about spilling. I also plan to send a packet to school with Isa to keep her locker smelling fresh and clean. Click HERE to check our more details about Fresh Wave! I haven't heard of these yet but I need some! My car stinks after sports! I really need those odor packs for my gym bag and shoes. This is my first time hearing about fresh wave, so I will have to check them out. Those packs are perfect for my son's karate gear bag. It smells horrible in there. I just read about these earlier today! I think I'd need to sneak them into shoes and backpacks all over the place. What a wonderful product. I need to buy them to put in my office. We have a new kitten and I placed her in there at night and it smells funny, not in a good way! Thank you for sharing it! Fresh Wave sounds great. I love that I can freshen things up without using something dangerous. Thanks! 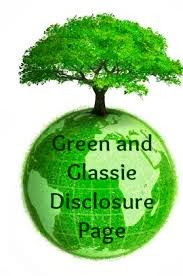 I love products that not only do what they claim to do but are natural as well. I love that this controls odor and is made out of natural scents. I tossed out the fabreeze a long time ago. I just love their products. Such a great product to conrol those nasty stale odors. My super should buy these and put them in the hallways of the building, there are so many people who like to loiter and their smelly 'vices' are certainly annoying! The air could use all the help it can get in this building! I love that these are a natural way to add freshness to an area. I'd love some of those packets for my closets and in my car! I will confess from time to time we'll get mystery odors in the car or kitchen and in the process of figuring out the cause I'd love to have something like this on hand. I love that it's natural too. Some of the products like this smell very chemically! I have asthma and allergies that are set off by strong smells. Glad to see there is a product out there that can eliminate odors and not set off an asthma attack. That sounds like a great option. I'd love to put one in my laundry room which is where the dog bed is. I think all parents could relate. There are definitely some less than pleasant odors that come with the territory! This is a first for me hearing of this product and it would work nicely for this dog mom! Air fresheners can be a must in our house! The kids can make some... unpleasant smells! These are great. I can think of a few places in my house that they would help (like the litter box area!). Those would be great to have around the house! I'm always buying air fresheners! Oh, I SO need these at work! I'm a dog groomer, and as you can imagine, the salon gets to stinking bad! My Daughter could use this for her Dorm room this year. I will have to pick up a few so i can put one in my Sons room and my walk in closet. I am not familiar with these products. They sound great, I clearly need to get these for my boys room - stinko! I've never heard of these before. Sounds like some great products, I need to take a look into! Could really use any product that helps eliminate smells! I have not heard of these, but we need them for the car so badly. My husband bought an air freshener and it didn't do the trick. These sound like such great items. I think I would like the gel one best. I keep hearing more and more good things about this product. Next time I go to Target, I have to try it. Those packets are SO up my alley. Baseball season with stinky gear is coming. Ha! I love that these are natural. I this would be a great product for a car or office. Those sound so good! I can definitely think of a few places where these would come in handy.